NO backpacks, packages or other carry items larger than six square inches. This ban also includes camera carrying cases, coolers and diaper bags. 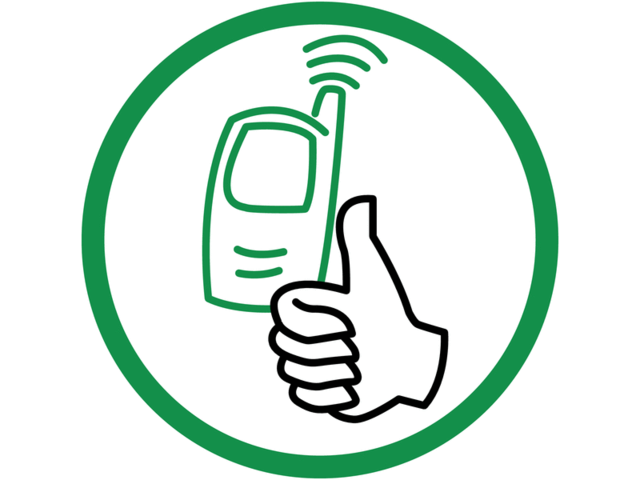 NO pagers, radios or other noise producing devices, even if they are turned off or vibrate. NO alcoholic beverages, nonalcoholic beverages or food may be brought into or taken from the golf course property. If you have any questions about an item not on this list, please call the Invesco QQQ Championship Tournament Office at 818.284.4646. Autograph Zone – To provide the PGA TOUR professionals with an environment free of interruptions, autographs are not allowed during tournament play. After the conclusion of play or suspension of play, golfers may sign autographs at their leisure on the Putting Green located near the 1st tee. Please respect the players’ on-course concentration and do not ask them for autographs during their rounds. Official play ends once the contestant has returned form signing his scorecard at the scoring tent. Observe the leaderboards throughout the golf course for “weather warning” signs that will appear before inclement weather moves into the area. When the signs appear, spectators are advised to take precautions before play is suspended. If the siren sounds, seek shelter immediately. The Invesco QQQ Championship allows mobile devices into the competition rounds during championship week. Please refer to the guidelines listed below for more information on the mobile device policy. Devices must be on silent at all times; flash may not be used. Devices may be used to capture video, audio and photos (content) in all areas throughout tournament week. Content may be used for personal purposes (e.g., personal social media); no commercial use. No live streaming or real-time coverage (e.g., no shot-by-shot coverage). Data use (e.g., texting) is permitted in all areas throughout tournament week. Phone calls are allowed only in designated areas. Please be respectful of play and do not interfere with players, caddies or media. All posted signage and instructions from tournament staff must be observed. Failure to comply with this policy may result in the revocation of your ticket.